We ask the all-important question: If you had to go without one for the rest of your life, would you pick bread or cheese? PICK A SIDE, PEOPLE. Email the show! 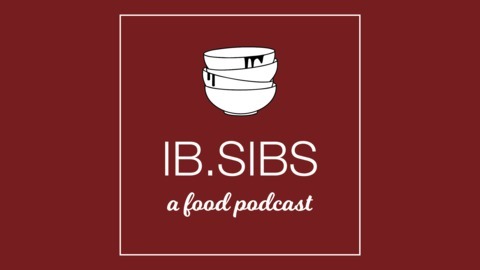 The address is ibsibspodcast@gmail.com - and we also are on Facebook and Twitter for your social media needs. 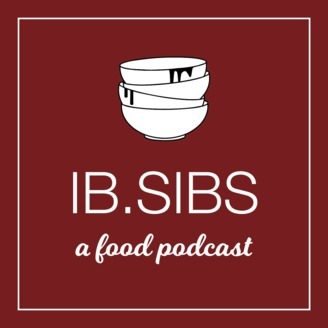 IBSIBS is a podcast from Grant and Nicole Burkhardt, foodies who share a bad batch of DNA that blessed them both with similarly weak stomachs. Subscribe to the podcast on iTunes, Stitcher, Overcast, Google Play Music, and wherever you get your shows. We're sponsored by Audible and you can get a free trial and a free audiobook if you click here - also this helps us out so do it! Our logo was created by Nicole Burkhardt. Our theme music was produced by the great Otis Macdonald. The opening to this show is from Big Mouth, a delightful, vulgar series from Netflix. Everything is so weird. Happy eating! And happy after-eating activities! Season 2 - Coming Soon!